Just days after North Korea tested an intermediate range ballistic missile that overflew Japan, the U.S. Navy intercepted a medium range ballistic missile target on Aug. 30 using a Raytheon Standard SM-6 missile. The weapon, which was launched from USS John Paul Jones, intercepted the target in its final seconds of flight. Unlike dedicated ballistic missile interceptor versions of the Standard missile, the SM-6 is a multi-role weapon that can perform anti-air warfare, anti-surface warfare and the ballistic missile defense at sea. According to Raytheon, this marked the third time that the SM-6 missile successfully engaged a ballistic missile target in its terminal phase. The weapon was first tested in the ballistic missile defense role in August 2015, and then again in late 2016. Raytheon has delivered more than 330 SM-6 missiles with production continuing indefinitely. However, while the SM-6 will become the mainstay of the fleet, the dedicated ballistic missile defense role falls to the SM-3 variants of the Standard missile. The Standard missile family — and indeed most U.S. theater missile defenses — has a good track record, but they only offer a limited defense. In the event of a war, thousands of North Korean ballistic missiles would likely overwhelm the system. Indeed, a 2016 report from the Pentagon’s Director, Operational Test and Evaluation bears that out. “The Regional/Theater BMDS demonstrates a limited capability to defend the U.S. Pacific Command (USPACOM), U.S. European Command (USEUCOM), and U.S. Central Command (USCENTCOM) areas of responsibility for small numbers of medium- and intermediate-range ballistic missile threats (1,000 to 4,000 km), and a fair capability for short-range ballistic missile threats (less than 1,000 km range),” reads the report. Kingston Reif, director for disarmament and threat reduction policy at the Arms Control Association told The National Interest that he agrees with the report. 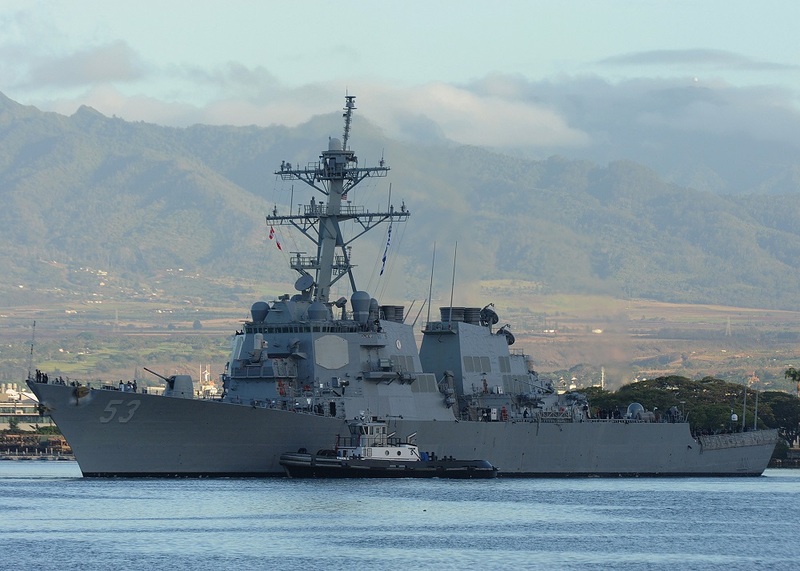 “Even though these systems have good test records, the capability of our and Japan’s regional defenses (Patriot PAC-3, Aegis capable ships armed with SM3-IA and IB interceptors and THAAD) against small numbers of missiles that travel within the defended area of these systems is limited,” Reif said. 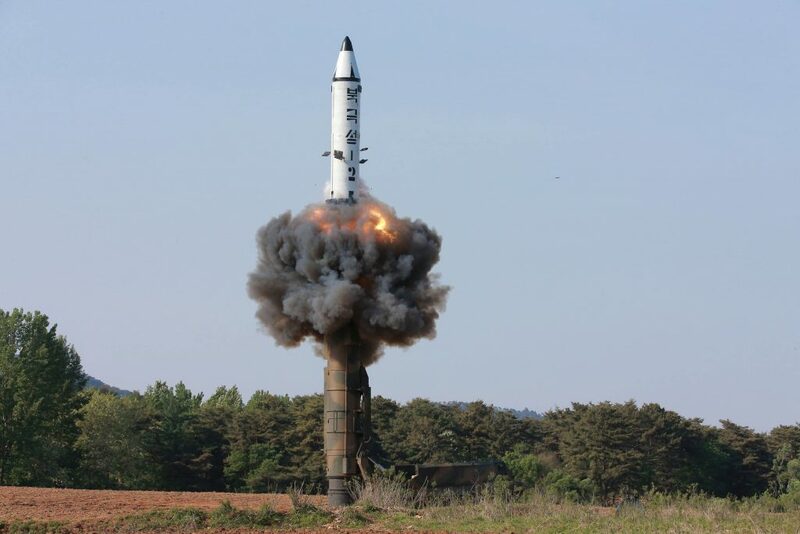 Moreover, shooting down North Korean test missiles would be even more difficult — despite the ill-informed pontifications of various commentators. In theory, it might be possible to shoot down North Korean ballistic missiles below the intercontinental ballistic missile class using the U.S. Navy’s Aegis cruisers and destroyers. However, it would be extremely difficult — and would compromise the defenses of populated areas. But even then, Reif notes that the SM-3 has only been tested against an IRBM target once. At best, the SM-3 would be able to intercept a ballistic missile in the mid-course part of its flight. In Reif’s view, shooting down a North Korean ballistic missile — or worse — trying to shoot one down and missing would be counterproductive. Ultimately, the problem is that missile defenses can be overcome easily by adding more or better decoys and other countermeasures — or simply overwhelming the system with numbers. Interceptors are expensive and several missiles have to be launched at an incoming target to ensure a reasonable probability of kill.